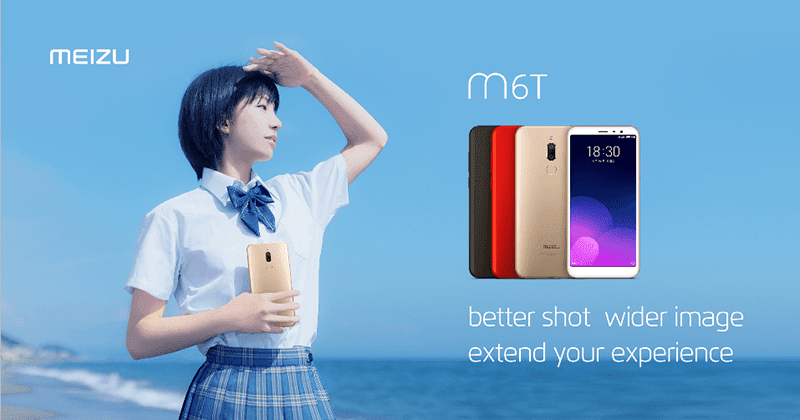 Meizu teased a new smartphone a new smartphone in the Philippines, the M6T. It's an entry-level device with 18:9 screen aspect ratio. Related: Meizu M6T with 18:9 screen, 4GB RAM, and dual cam is priced at PHP 7,990! It features a 5.7-inch HD+ 1440 x 720 screen, 1.5GHz 64-bit MT6750 octa-core processor with Mali-T860 MP2 GPU. It also has 4GB RAM, 64GB expandable storage via microSD card slot, and 3,300mAh battery. It also has a fingerprint scanner, 13MP f/2.2 + 2MP f/2.4 dual cameras at the back, 8MP f/2.0 selfie camera, WiFi 802.11 a/b/g/n, 4G LTE connectivity, Bluetooth 4.1, GPS, A-GPS, GLONASS, and dual SIM slots. The phone loads with Android 7.0 Nougat with Flyme OS on top. It was posted at the Facebook page of Meizu Philippines. We don't know the price and date of official availability yet though.